Judging from my Halloween costumes, it’s probably hard to believe that this whole business of trick or treating is actually quite new to me. I remember dreading Halloween most of my childhood, and once I had kids, it stirred up a mix of emotions that made me count down the days until we could be done with October and get on with November. When I was a kid, my parents didn’t let us celebrate Halloween. I don’t blame them. And I don’t think they made a bad choice. The origins of this “holiday” don’t leave anything to celebrate, that’s for sure. As part of a conservative Christian family, it just wasn’t something we did. I think my older sisters and brother might have had a few years of trick or treating because I have a very faint memory from when I was 4 or 5 of dressing up and driving over to a friend’s house to get some candy. But that is the only time I can remember taking part in Halloween as a child. My next distinct Halloween memory was in fifth grade. I was playing kickball on the playground when my mom and a friend’s mom came to pick us up early from school and take us to Dairy Queen. We were going to miss the school Halloween party. I really didn’t mind since going to DQ seemed way more fun. 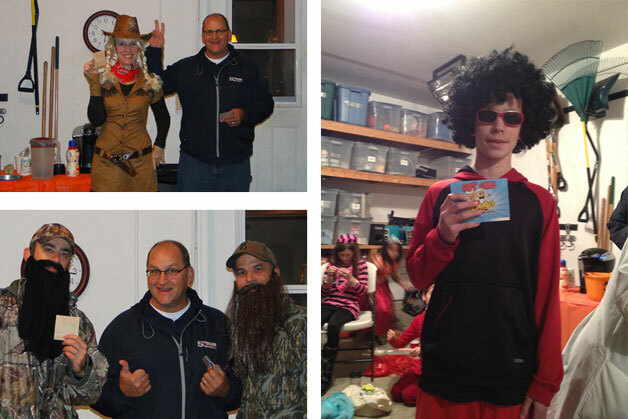 I was thankful when I made it to an age I was too old for trick or treating. I didn’t have to feel like an oddball anymore, trying to come up with an answer for the never-ending question, “What are you going to be this year?” My high school years were full of their own version of Halloween celebration. October provided endless fun covering trees in toilet paper and writing messages with Dove soap bars. We took it to an extreme one year when we wrapped someone’s car in paper towels and Saran wrap and smashed Oreos all over a friend’s house. Ahhh. Those were some good times. I was able to pretty much ignore Halloween for many years until I became a mom myself. I couldn’t believe that this one stupid day of the year could stir up so much confusion and so many mixed emotions. For several years, I simply couldn’t bring myself to put a costume on my kids and traipse around the neighborhood looking for free candy. I wasn’t sure what to think of my Christian friends who took their kids trick or treating like it was no big deal. For several years, we made it a game to turn off all of our lights and hide downstairs watching a movie on Halloween. Other years, we went out to dinner or to the mall right at 4 p.m. I despised the feeling that I had to flee from my own home or hide from the neighbors. But at the same time, I couldn’t bring myself to be part of that dreaded day. Things started to change when our kids were in preschool. The kids went to a preschool at a Lutheran church, but they still treated Halloween like it was the biggest event of the year. The kids always dressed up and had a parade on that day, so reluctantly, I complied. We had tons of costumes that the kids wore any other day of the year, so what was the big deal about wearing them to preschool for a day? I think it was the year that the kids were 7, 5 and 3 that we decided we should at least give out candy to the neighborhood kids. I hated hiding from the neighbors this one day of the year. The kids were all dressed up, ready to answer the door, when our friends stopped by. I remember that CapableDad was on a business trip in China, so I figured what the heck. I needed some adult conversation! We should go walk around the block with our friends. I’m sure our friends had no idea, but taking that step out the door was like a leap into outerspace. Should we really do this? How do I explain it to the kids? I had always been honest with them about the negative origins of the day and why we didn’t trick or treat. How would I explain that now it was OK? Well, that year was the start of our journey into the world of trick or treating. It stirred up several conversations with the kids, and some questions that, honestly, I haven’t been able to answer. But mostly, we just enjoyed hanging out with friends, running around the neighborhood and gathering up buckets of free candy. That first year, we made our way to the home of some friends who were kind of new to our church. They offered us hot chocolate and a spot around their firepit. We barely knew them at that time, but they have grown to be some very special people in our lives. 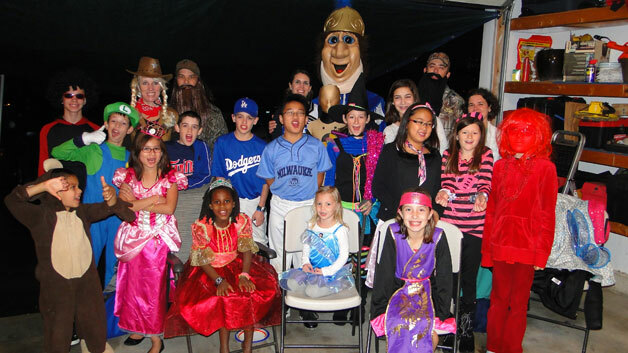 Our group of trick or treaters has grown over the years. We all walk around the neighborhood together and then head over to the home of our friends with the firepit. Now, it’s tradition that they serve a big pot of soup and give out prizes to the best costumes. They are extremely generous with $5 and $10 gift cards from Starbucks, Dunkin Donuts and Andy’s Custard. Anticipation builds each year for which adults and which children will win the prizes. 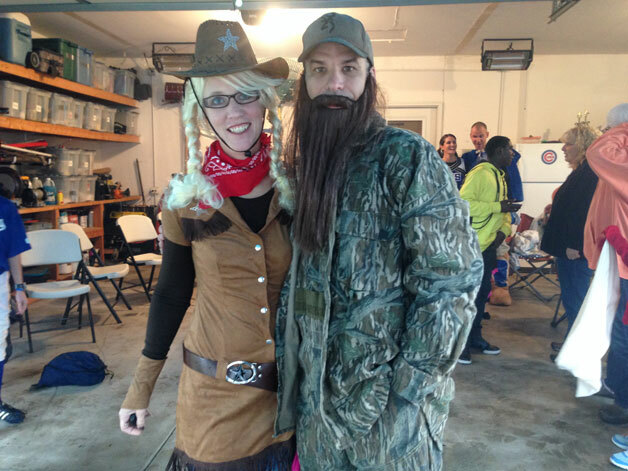 When I post photos of our family all dressed up for Halloween, I hope I won’t offend anyone. I completely respect my friends who have chosen to boycott the traditions surrounding Oct. 31. I’m thankful that it’s no longer a day that we are focused on avoiding all of the scary stuff. The kids start planning out next year’s outfit almost before they can take off this year’s for the evening. My husband and I have just as much fun finding costumes that will get a laugh. And we mostly look forward to a fun evening gathering with friends. Last night, our 11-year-old son asked when he would be old enough to go trick or treating without his parents. “Never!” we told him. “You have awesome parents who dress up on Halloween, and we are always going to go with you!” The truth is we might keep wearing costumes even after our kids have stopped. Hey, what can I say? Maybe I’m making up for lost time. What are your thoughts on Halloween? Is it a highlight of the year for you or a day your family dreads? Love this post, Emily! This has been something I have struggled with as well. We always celebrated when I was a kid but never really looked into the meaning behind the holiday itself. With our boys, I started questioning whether or not to participate and felt the pressure from both sides of the spectrum. I felt like no matter what we did, we would disappoint friends and family. It shouldn’t be that way. I truly do understand both sides but don’t understand why we always judge others and their decisions. 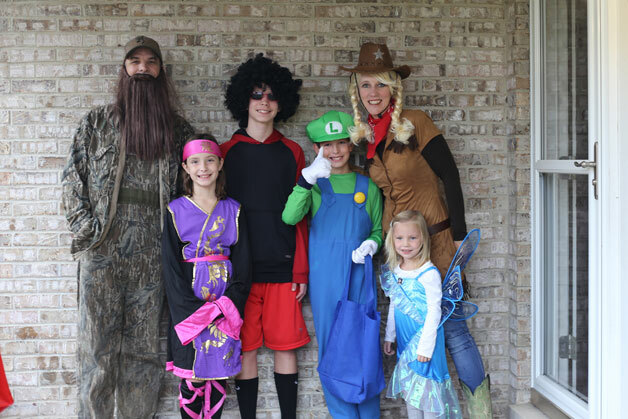 We have had such a blast dressing up as as family the past couple of years and the boys have enjoyed dressing in themes each year before that (Mario Bros, Pirates, Star Wars, etc… never the evil characters). The memories our boys have are priceless. In the end, we chose to focus on the positive and use it as an outreach to get to know the people around us and have had a lot of fun in the process. Well said, Kelly. I’m glad to hear you also have struggled with this issue. It’s not easy being parents! Well, you guys have definitely made the most of Halloween. Your kids are always going to remember the awesome family outfits! Soooo fun! Enjoyed your post! I totally understand the struggle, but over time we have also gotten more into Halloween as it has become a great opportunity to hang out with our neighbors and get to know them better. My husband puts a fire pit in our front yard while giving out candy. People stop by and linger, some hang out a while. I go around the neighborhood with a few other parents and kids and we have a great time together! Hey Marcie! It’s so good to hear from you. I had no idea you read my blog! I can totally picture you and Michael doing that. I love how intentional you are about getting to know those in your community. I never had any inkling of the negative connotations until I was maybe in high school? I even grew up in a “super churchy” 😉 Southern Baptist family in the South, but no one back then ever looked at the dark stuff – only the fellowship & fun. Thanks! I think these costumes were good expressions of our true inner selves. I got mine on clearance last year at Target. I love any excuse to wear my cowboy boots and my husband already had all the hunting gear!